Everyone loves a good free service, as long as it really is good service. Let’s find out if iNinja is one of those rare unicorns. 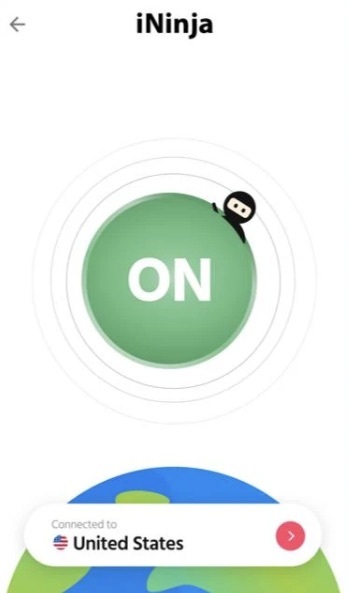 When you open iNinja’s main page, you’ll see an animated ninja running over the globe carrying your IP address. It’s pretty clever of them if you ask us. Seeing your exposed IP is more likely to make you want to use their VPN to cover your tracks! iNinja claims to be designed to protect internet users, which is the ultimate goal of VPNs. Unfortunately, a lot of VPNs today secretly do the exact opposite. We checked if this free VPN truly lives up to their words or if they secretly sneak behind our backs–like a ninja, anyone?–to put us in jeopardy. iNinja’s claims of providing blazing fast speeds isn’t a joke. Most free VPNs do not reach two digits in the speed tests. We got 97 Mbps in download speed which was truly impressive for a free service. This VPN is absolutely free. But it’s not free from ads. 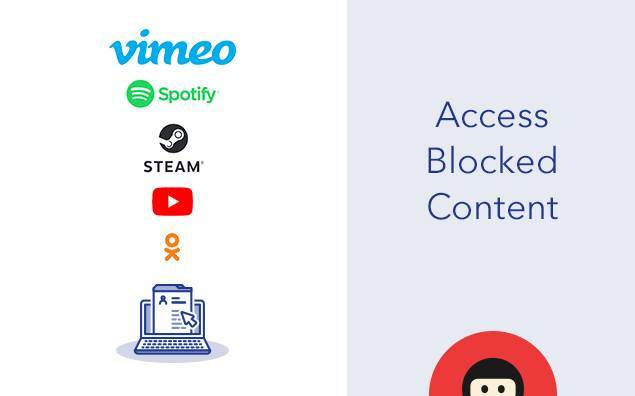 If you want to use this free VPN, you have to endure the disruptive ads in return. iNinja can be installed as an app through Google Play on Android or as a Chrome extension for your desktop. Once you install the app on your phone, you’ll need to sign up with an email address and wait for a confirmation link. To use iNinja on Chrome, simply add the extension and start using it. iNinja’s interface looks modern and well-designed. The art can even be considered cute. It’s just the right amount of creativity and functionality. Not much is hidden under tabs because there really isn’t a lot to the app. 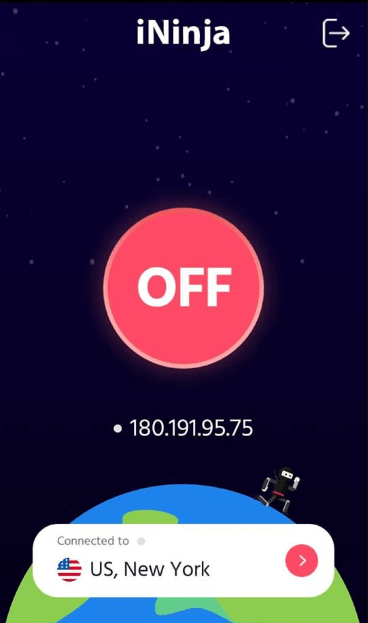 The logout button is just on the upper right corner of the app. You can click the server list to scroll and choose where you want to connect to. The big button in the middle simply turns the VPN on or off. iNinja didn’t let us down with their leak tests. Even though they don’t have the most impressive features and encryption, it’s good to know that they have the basics covered. The results are all clean. iNinja is free. No need to worry about refunds. There is no need for any payment method since this VPN is entirely free. iVPN only has servers based in 9 different locations across the UK, Russia, USA, the Netherlands, and Austria. Their website says there are servers in 8 countries, but we only saw 5. This is definitely not much of a choice, but at least you have a few US servers to choose from and a couple of European servers. Most free VPNs do not get through Netflix. Neither do many paid VPNs. If you wanted to watch your favorite shows with this VPN, we’re sorry to say this, but it’s not going to happen. 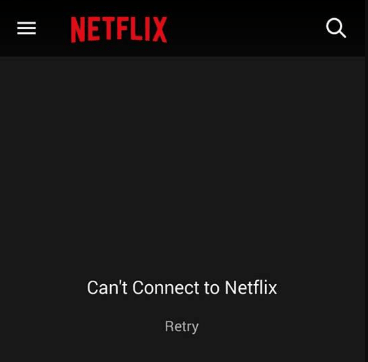 Netflix is a hard nut to crack, which is why it’s a good idea to invest in the best VPNs for unblocking Netflix if you’re a heavy streamer. Torrenting Policy: Don’t know, but why would you? iNinja doesn’t explicitly mention anything about torrenting, but based on their lack of dedicated P2P servers and their atrocious logging policy, we don’t recommend using this VPN to download torrents. Keeping your torrenting activity private is a task better suited for the best torrent-friendly VPNs. iNinja is commonly used as a Chrome extension with over 180,000 users according to the Chrome Web Store. Whether you use Windows or macOS, as long as you have a Chrome browser, you can use the VPN. They also have an Android app with over 5,000 downloads and a 4.8 rating. However, that’s where the support ends. 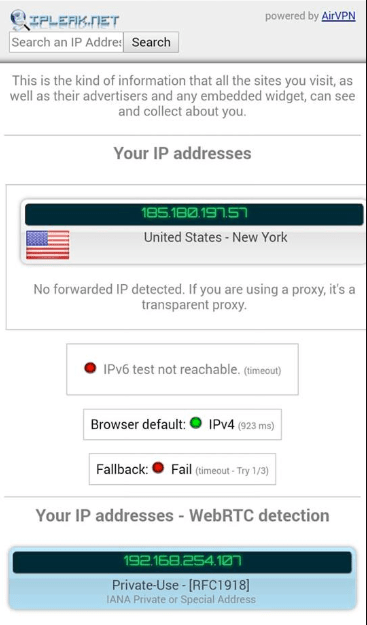 You won’t be able to use this VPN on iOS or other devices like routers. iOS users, we recommend checking out the best VPNs for iOS because iNinja–despite their similar name–is incompatible with your device. Don’t be deceived by their promise of 24/7 support. 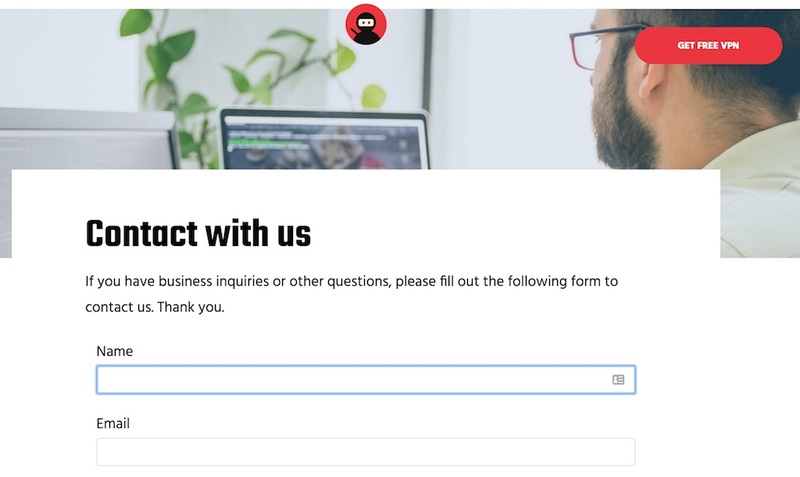 The only way to contact iNinja is via email or a contact form on their website. We tried sending an email to check their responsiveness, but it’s been over three days and we haven’t gotten a reply yet. Users who wish to leave them a review or feedback can do so on the Google Play Store. To their credit, iNinja does have a knowledge base. However, there’s very little info. We can literally count the number of articles on their website in one hand – they consist of three general blog articles that have nothing to do with their product. iNinja collects an alarming amount of user information like connection logs, IP addresses, personal information, online activities, etc. They use the said information to improve their services, ensure security, and for their services’ audit and tracking. 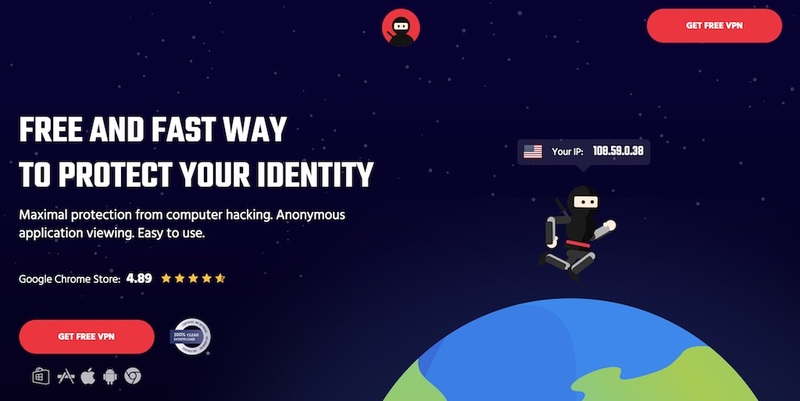 iNinja claims that users are impossible to track using the information they collect. But the VPN still collects big information like IP addresses, names, and email addresses, so we would still keep one foot on the ground. iNinja only relies on 128-bit SSL encryption. If you plan on using this, let it be known that there are free VPNs out there offering military-grade encryption. Users who are also looking forward to using or switching between any particular protocols won’t be able to do any of that as iNinja doesn’t allow any customization. iNinja does not have a kill switch. 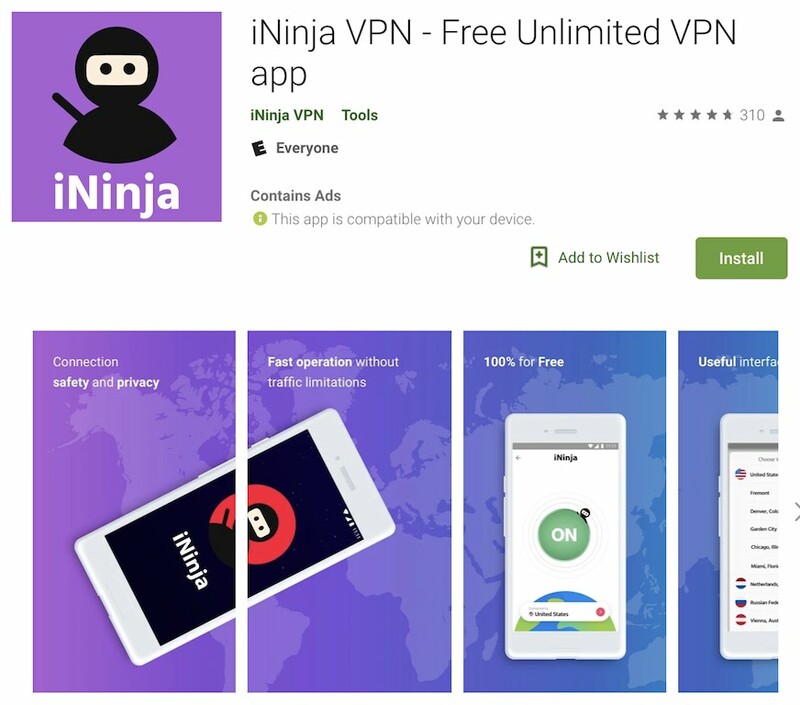 Free VPNs rarely offer this feature so we weren’t surprised to see iNinja not offering one. If your connection drops while you’re using the VPN, your information will be exposed. iNinja, Ltd is a very new service in the market. The company was incorporated in 2017. With 5,000+ installs on the Google Play Store and 180,000+ on the Chrome Web Store, they seem to have quite a decent number of users already. iNinja, Ltd is registered in the UK, which makes it a part of the Five Eyes Alliance, comprised of countries who are willing to trade information with one another. This is still a relatively new VPN, and you can tell. We understand that there’s a lot to improve, but their logging policy does throw us off a lot. Free VPNs are celebrated for providing free service but this often comes at the price of having your data taken by the VPN. iNinja collects too much for anyone’s good. On the plus side, iNinja is super easy to use and there are no bandwidth limits. It can easily be recommended to people who just need a proxy because they still don’t have a great need for advanced settings. 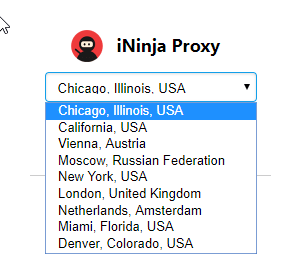 If you’re looking for something more than just a proxy to hide your IP address, iNinja isn’t what you’re looking for. We recommend going to our top 10 list to find a better service or checking out our recommendations for free VPNs.